Dimensions: H31xW55 xD24 (cm) H12.2 xW21.7 xD9.4 (inch) ..
Dimensions: H29 xW50 xD22 (cm) H11.4 xW19.7 xD8.7 (inch) ..
Dimensions: H29 xW41 xD12 (cm) H11.4 xW16.1 xD4.7 (inch) ..
Dimensions: H36 xW45 xD20 (cm) H14.2 xW17.7 xD7.9 (inch) ..
Dimensions: H27 xW37 xD17 (cm) H10.6 xW14.6 xD6.7 (inch) ..
Dimensions: H23 xW36.5 xD20 (cm) H9.1 xW14.4 xD7.9 (inch) It is created by S..
Dimensions: H29 xW44 xD19 (cm) H11.4 xW17.3 xD7.5 (inch) ..
Dimensions: H26 xW36 xD16 (cm) H10.2 xW14.2 xD6.3 (inch) ..
Dimensions: H36 xW30 xD6 (cm) H14.2 xW11.8 xD2.4 (inch) It is made of monogr..
Dimensions: H28 xW28 xD4 (cm) H11 xW11 xD1.6 (inch) It is made of monog..
Dimensions: H13xW21 xD3 (cm) H5.1 xW8.3 xD1.2 (inch) ..
Dimensions: H29 xW40 xD17 (cm) H11.4 xW15.7 xD6.7 (inch) ..
Dimensions: H28 xW33 xD15 (cm) H11 xW13 xD5.9 (inch) ..
Dimensions: H36 xW49 xD22 (cm) H14.2 xW19.3 xD8.7 (inch) It is made of m..
Louis Vuitton Neverfull is one of the most popular and iconic bag of the House. If you are looking f..
Having 2 detachable inside pockets, the chic Pochette Felicie embellished with Monogram canvas, whic..
Do you know that Louis Vuitton Monogram was celebrated in 2014 in the Museum of Modern Art by various celebs and important people? Don't you want to be one of the VIPs? 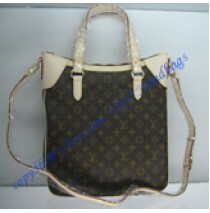 Oh yes, you could be one of them by owing our collection of Louis Vuitton bags for sale. Here are the reasons beyond the Louis Vuitton resale. It might be a touch ahead of schedule for shopping for festive seasons. However, that didn't prevent visitors from adding to their lists of things to get at Louis Vuitton's Monogram supper, held in November 2014 at the Museum of Modern Art. The dinner was set on the appreciation for the six renegades decided to get the Louis Vuitton resale an ageless symbol of style and make their own special piece using the immediately Louis Vuitton Monogram. 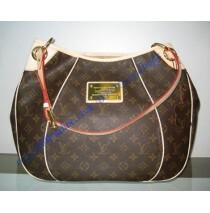 The members to get the Luis Vuitton bags for sale included Cindy Sherman, Marc Newson, and Karl Lagerfeld. They were all on deck to praise the cooperation of Nicolas Ghesquière and Louis Vuitton. It was the night full power for the specialists. The bags were being what they are. It was fascinating to perceive how they would go into a tango with something that arrived before them and will be there long after we're gone. 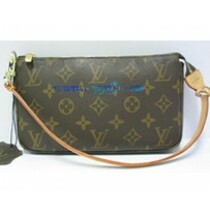 How would you hit the dance floor with time everlasting like a Louis Vuitton Monogram? This have been talked by everybody's lips as energetic participants including K. Kloss, Michelle Williams, and Larry Gagosian who loved to take a look at the Louis Vuitton Monogram collection. From the looks of it, the skilled gathering demonstrated more than up to the undertaking. However, the crowds did admit to the test of moving from high rises to satchels. Louis Vuitton had effectively set the bar really high. Then, supermodel Stephanie Seymour praised an eager workmanship authority. 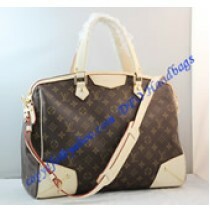 Everyone would dream a monogram as a festive season gift or a lover's surprise. Every woman on earth would do a pen battle for Vuitton. 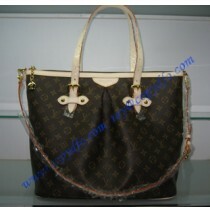 Who would deny this beauty of craftsmanship of everlasting Louis Vuitton Monogram? When they gave one of the beautiful bags to you one day, you chose to have a monogram put on them. You will always truly appreciate the bag, even until you own it for years. Before ducking into supper, performing artist Mia Goth developed the monogram's force, clarifying that the bags is exceptionally all inclusive brand. However, in the meantime, it's extremely individual and cherished on how mind boggling that relationship is. On-screen character Melissa George concurred, thinking back, when she first bought when she began to be an on-screen character was a Louis Vuitton scarf. She was just sixteen years of age, and needed to purchase something that truly conveyed significance—something that said, 'I'm making it.' For everyone, that was Louis Vuitton. 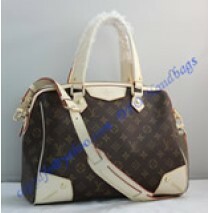 Louis Vuitton bags with its famous monogram canvas and fantastic silhouette has been in style for a considerable length of time and years. So once you get it, you can make sure it will look trendy as a celebrity and slick no matter how many decades you have it. The definition of defined silhouette is dependably something worth being thankful for. In light of the fact that getting another designer's bag made of delicate feather, like LV specialty, and having it scratched that day is the most exceedingly bad fashionista's bad dream! The silhouette means that Louis Vuitton bags runs with everything a celebrity (or you) wear! From pants to party dresses. The main thing you can not combine it with its red carpet outfit as when you are invited to the Gallery. Yet, when it'll end up like that, you will spend too much on a decent grip, won't you?